"I have heard many different opinions as to whether funnels should be used for topping off an oil reservoir. Can you explain why funnels should or should not be used?" 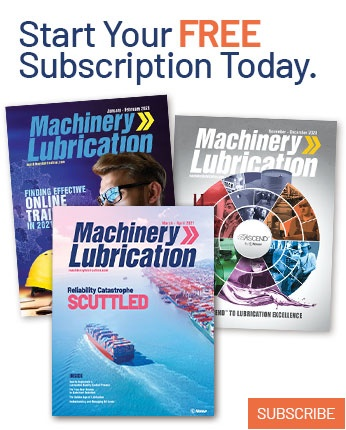 Across industry, it seems that if you are filling a machine or topping it off with oil, you will need to transfer the lubricant from a large container through a small fill port at the top of the machine. A funnel is designed to make this opening wider for adding oil. While funnels can make this task easier, they are not recommended because of their potential to introduce contaminants into the lubricant. Funnels usually are stored on a dirty shelf in a lube room. When a maintenance technician grabs a funnel and walks through the plant, it is exposed to dirt and dust. Before being placed in a fill port, the funnel might be wiped off with a dirty rag that the technician has been carrying around in a pocket, exposing the funnel to even more contaminants. Remember, as a lubricant flows through the funnel, it is not the only thing entering the equipment. All the dirt particles on the funnel are also going into the machine. Although some people may keep an eye out for large particles, it's the ones that can't be seen with the human eye that cause the most damage. 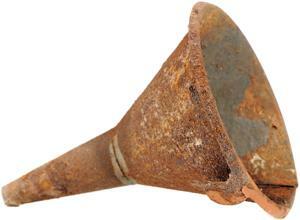 Another risk of funnels is the potential for cross-contamination between two incompatible lubricants. 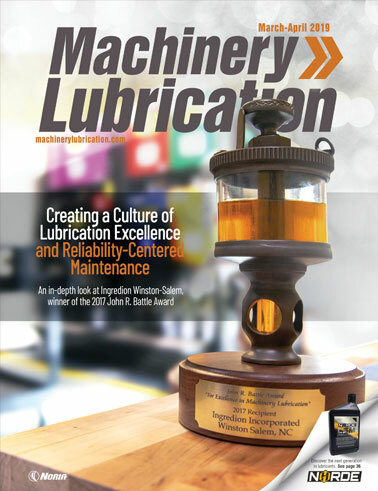 There are many oils on the market that, if mixed with another lubricant, could cause severe machine damage. Most funnels are not color-coded or labeled in a way that would designate them to be used for only a certain lubricant. Therefore, a number of different oils may flow through the same funnel, potentially contaminating the lubricant inside the machine and causing significant damage. If there is a situation when you absolutely must use a funnel, a disposable version is the best option. These one-time-use funnels can be stored in their original packaging to keep them clean prior to being used and then thrown away. A sealable and reusable (S&R) container is a good alternative to a funnel. These containers typically have a spout or pump-style lid, making it easy to transfer lubricants from the lube room to a machine in the plant. However, the main benefit of these containers is that they lower the chances of particle ingression.